This week’s interview is with Randall Lowe, an attorney that has turned his hand to writing a very gritty urban fantasy series, the Felix Chronicles. I’m an attorney by day (and often by night as well). I didn’t get the itch to write a novel until I had been practicing law for quite some time. How do you deal with the stranger reviews? Since I’m new to the business of having my writing reviewed I have to admit that I find it all a bit terrifying. If an established writer receives some negative reviews it’s not the end of the world as generally a flood of positive reviews will swallow them up and render the “one stars” almost instantly forgotten. For someone like me, on the other hand, who is scrambling for reviews, a single negative review could potentially be devastating. I write for myself. I didn’t write The Felix Chronicles: Freshmen for anyone else. I realize that I’ve broken nearly every fundamental tenet of book marketing by not having a target demographic in mind, but I didn’t want to modify my story to appeal to a certain group of people. And because the main characters are first year university students The Felix Chronicles arguably falls within the “Young Adult/New Adult” genre. This isn’t a bad thing as long as readers recognize that my book probably isn’t suitable for the under sixteen crowd. And although I have included this disclaimer on Amazon, I recognize that I’m opening myself up to criticism over the use of alcohol, sexual content, language, and in particular, the violence. Regarding the violence, there are characters in my book who are truly bad people (or flesh eating monsters, in some cases) and I took the position that their actions should be described in such a way that the reader will understand that there is no limit to their cruelty. One reviewer said that she “literally winced” as she was reading about a character known as “The Faceman.” From my perspective, that’s exactly the reaction I’m trying to elicit. I don’t want to rely on innuendo or the reader’s imagination; I want the reader to know exactly what happened. As I said, I wrote the book for myself, and despite the savagery of some of the “bad guys,” I would argue that everything in my book, including the explicit violence, serves a purpose. 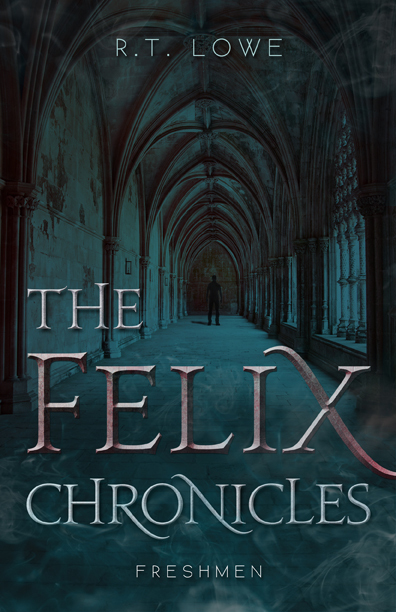 The Felix Chronicles: Freshmen, is an Urban Fantasy that combines elements of mystery (I think of it as a puzzle), adventure, horror, the paranormal, and coming-of-age. I realize I just did a lot of “combining,” but that’s about the best I can do when trying to describe it. The second installment of The Felix Chronicles. I wrote The Felix Chronicles: Freshmen between the hours of 3AM-6AM over a period of almost three years. My regular job requires at least 60 hours per week and I travel more than I would like. On most days, the only hours not accounted for are 3-6. You take what you can get. « Doctor Who Trailer – Sept 19th!